We are halfway through our Top 10 countdown, and we have reached a song that may warrant some legitimate complaints because of its placement. Many can make an excellent case that Lorde’s minimalistic mega-hit “Royals” should grace the top of all Top 10 song lists for the year 2013. It does represent the rare piece that transcends all music, gaining frequent mainstream radio play and Indie appeal. This year saw several infectious hits (“Blurred Lines,” “Get Lucky,” and “Roar”), but these songs were geared towards and remained in their mainstream niche. “Royals” and another song on this list that was not mentioned yet literally blurred music lines, but not in a lewd, egotistical (but somewhat sardonic) manner. For that and a slew of other tasty reasons, “Royals” leads off the homestretch of this 2013 song countdown. 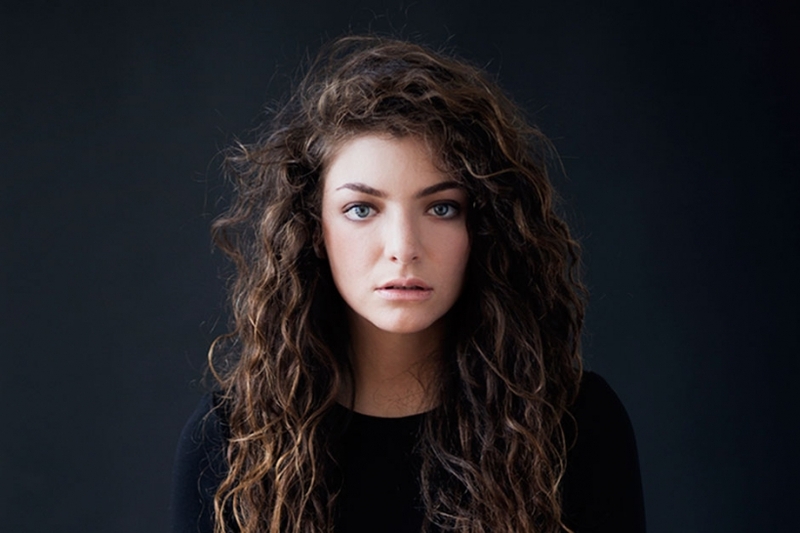 What can be said about “Royals?” Well, first, I guess it is important to mention that Lorde – Ella Maria Lani Yelich-O’Connor – was born during the height of Los Del Rio’s vexatious dance-craze “Macarena,” which quite literally swept the world (much like “Royals”) and was #1 on the Billboard charts when Lorde was born in New Zealand. So, yeah, she is 17. Mature beyond her years, Lorde is known for her musical precociousness. She was signed by Universal at 13 and immediately started writing songs. It was only a matter of time before one of the songs stuck. She released her debut EP The Love Club on SoundCloud in November of 2012, and by March of this year “Royals,” track two on that album, hit #1 on the New Zealand Top 40 and rapidly started its Godzilla-like destruction of global charts. And wow does this song have staying power. Months later, it is still voraciously consumed by eager ears – meaning, while some over-played hits get stale (OK, ALL overplayed hits), “Royals” has this mysterious lasting power that draws in listeners and doesn’t let go of them prior to the passing of a three-minute sing-along. The song is a reflection of the artist. Lorde’s mother is an award-winning New Zealand poet (Sonja Yelich), and this poetical artistry bleeds out in the song. Lorde maintains a delightfully dark presence (almost Adele-like) and this esoteric passion is reflected in her performance and vocalizations. “Royals” would not be nearly as good of a song if it weren’t performed by an individual whose vocal is authentic and almost pained. That quality is invaluable. Let’s delve into the piece. “Royals” is clearly carried by its basic percussion. The song is just percussion, basic synth, and vocal layering. Compare this song with “Get Lucky,” which features a slew of electronic instrumentation. Both songs are equally viral, but “Royals” does a lot more with a lot less. This is just one endearing quality of this song. Lorde’s vocal is haunting and oddly sensual. She is able to create a tremendous sound without any garishness, which is actually the main theme of the lyric. The song features heavy emotion and verisimilitude while remaining comprehensive and shrewd. It’s a tasteful, zaftig piece that is well-constructed and melodically astute. The lyric is also quite keen. The motif of “a different kind of buzz” stands out in the song. While many songs on the radio talk of extravagance (“jet planes,” “islands,” “diamonds,” and “Cadillacs”), Lorde speaks of these items as mere fantasies (well, they may not be for her now!). The “luxe” of the so-called rich and famous doesn’t “run in our blood” and she aptly says that the subjects in the song will never be “royals.” It’s not a song about the joys of modesty, but rather it is an acute portrayal of materialistic youthful aspirations that are often marked by misguided avarice. Smart song, huh? And if this is #5 … can you imagine what is next? Scroll down for #6-10 as well as the preview post, which outlines songs 11-19, and make sure to stay tuned for the rest of the countdown!